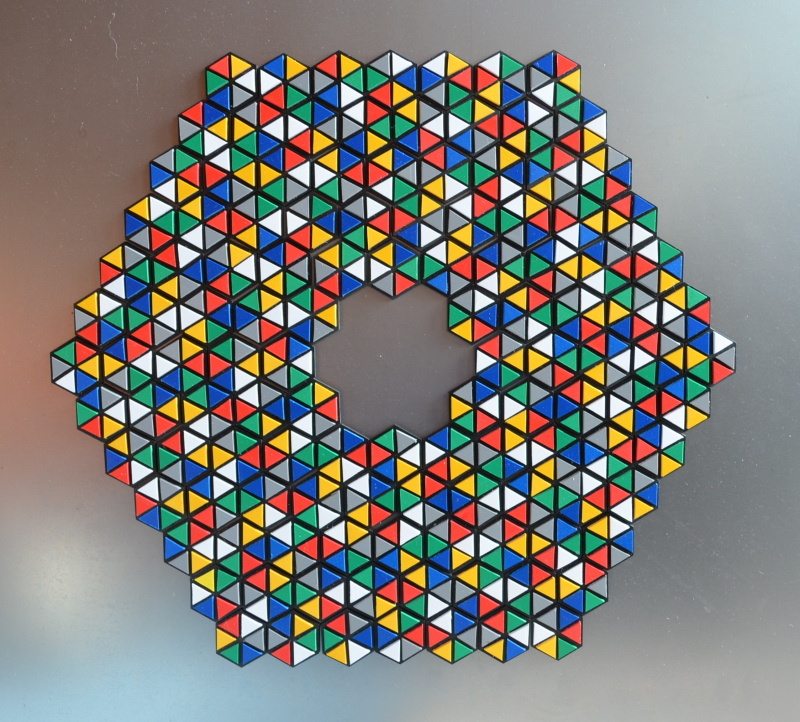 Using six colors we can get 120 one-sided hexagons with differently colored edges. 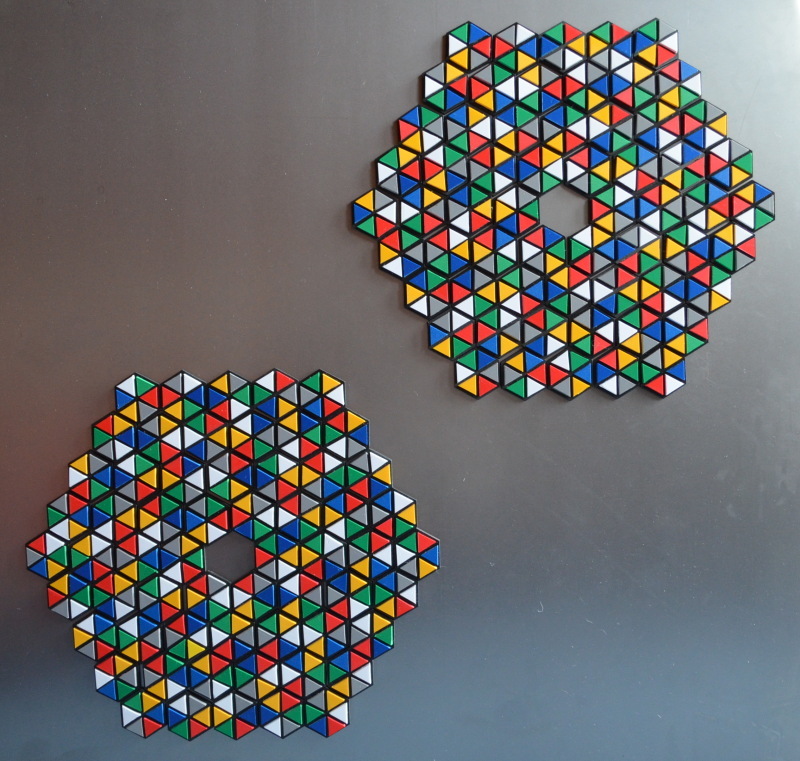 These pieces allow you to construct some symmetric figures with matching colors at adjacent edges. 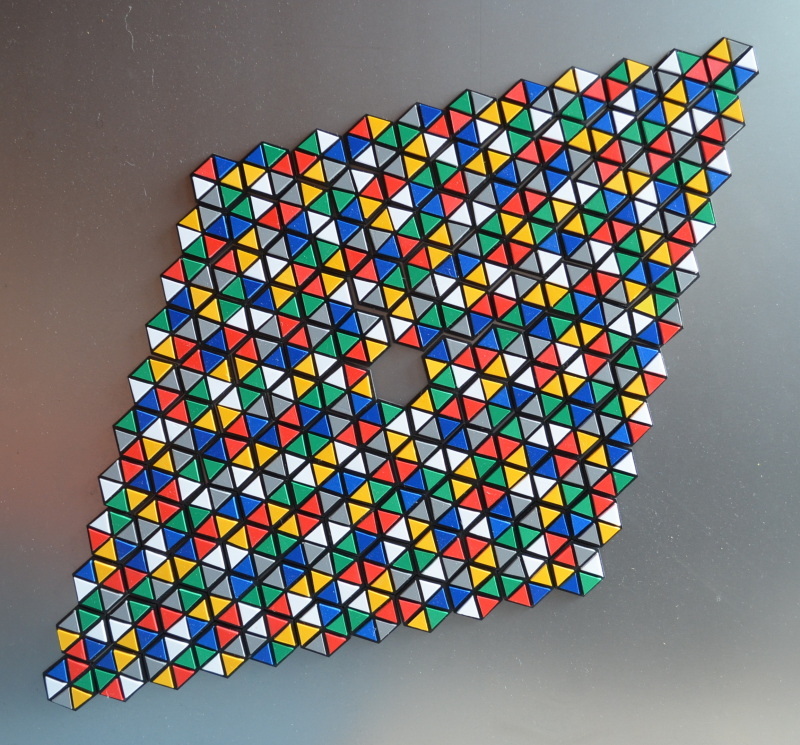 The borders of the whole constructions cannnot be same colored because some pieces contribute more than one edge to them. 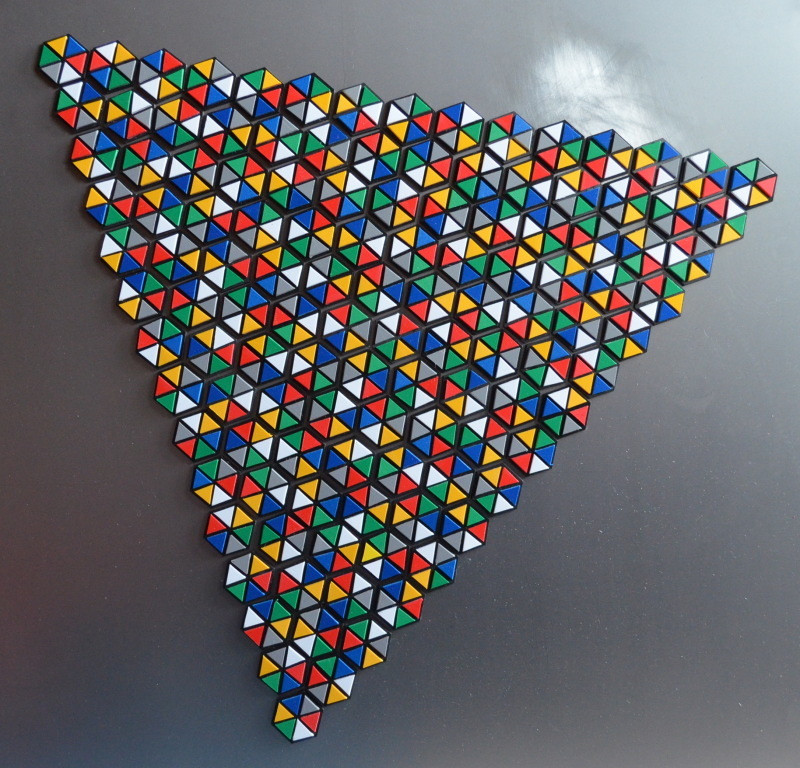 The pieces are cut from hard foam board with colored triangles stuck on. 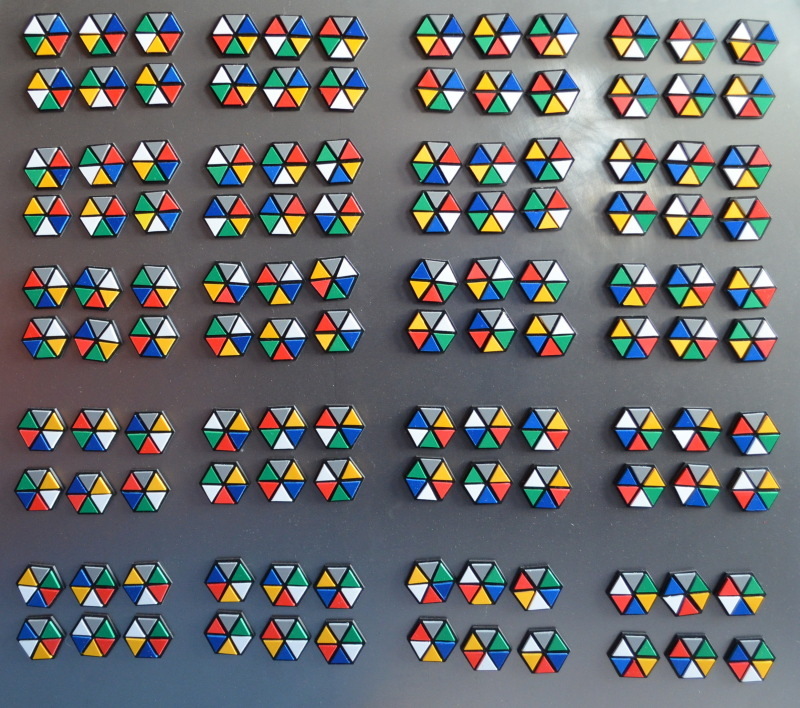 You can easily spot a special piece in the set if the set is divided into 30 subsets. 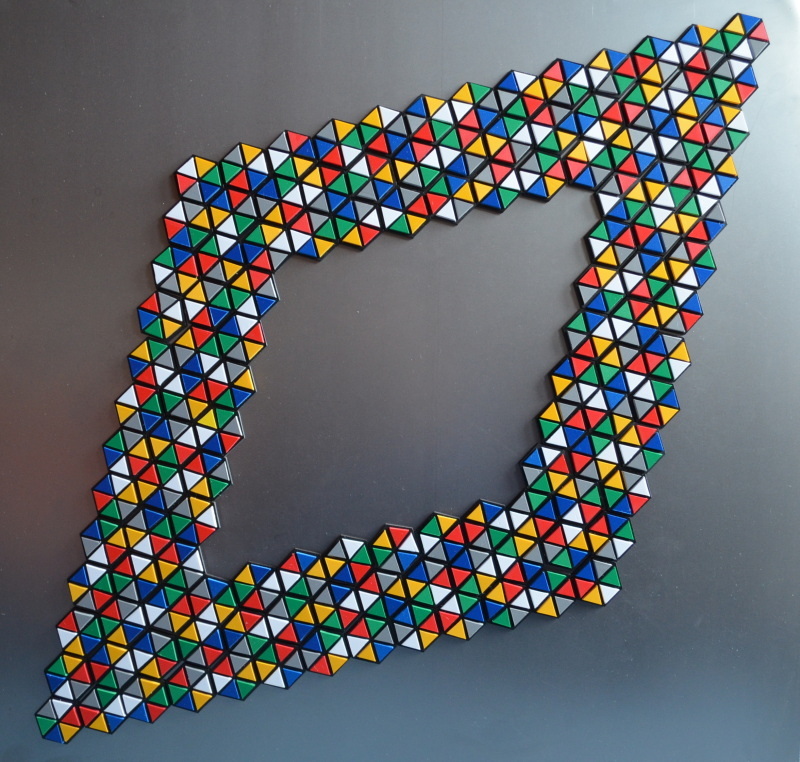 For each piece you have a dual piece with green and red edges swapped. For a construction of 60 pieces you can always take only one piece of each pair of dual pieces. A second construction with the remaining pieces is then also given. I used the same method for figures symmetric under 180 degree rotation. In this cases it must be ensured, that the two parts match at the common border.